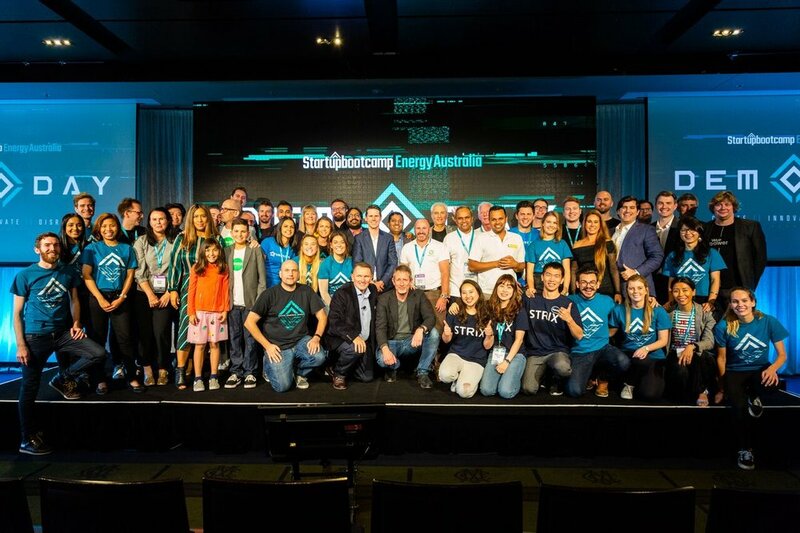 Uprise Energy was selected as one of ten companies - out of over two-thousand global energy startup applicants - to take part in Startupbootcamp's inaugural Energy focused accelerator in Melbourne, Australia. The goal of the program was to advance our business and the development of our innovative 10kW portable wind turbine in the Australian market and beyond. Founded in 2010, Startupbootcamp (SBC) has global family of 20+ active industry-focused programs to support startups with direct access to an international network of the most relevant mentors, partners and investors to help them scale. On the 27thof April 2018, the SBC Energy Aus accelerator culminated in a Demo Day at the world-famous Melbourne Cricket Grounds (MCG or just "The G" as the locals say), which at ~110,000 seating capacity is the largest stadium in the entire Southern Hemisphere and the ninth largest in the world. At Demo Day, each of the 10 startups got to pitch their respective companies to an audience of over 450 investors, stakeholders, sponsors and industry experts. The event was also Livestreamed to a couple thousand people that tuned in from around the world. Over the course of the 3 months, we got a lot of work done and had a lot of fun doing it! There were some very tight personal and professional bonds created inside our awesome co-working space at YBF Ventures that are sure to last a lifetime. Startupbootcamp Cofounder, Ruud Hendriks, commented about how they constantly collect data from their various accelerators that take place around the world and the feedback from SBC Energy Aus was leaps and bounds ahead of the scores that preceded it. After the experience we had, I found his statements easy to believe as I often pondered whether our cohort was normal or exceptional, leaning towards the latter, which Ruud confirmed. I have to give credit to the program directors, Trevor Townsend and Richard Celm because culture is set at the top and those two lead by great example. Beyond the exceptional personal dynamic amongst all involved with the cohort, it's worth noting the harmonizing nature of the 10 startups. Here we had 10 energy companies with little to no overlap between them and many of which complimented one another. It was the perennial 1+1=3 equation or maybe better stated: 1+9=57. Before entering the program, we were looking at flywheel technology as a form of energy storage and utilizing blockchain to facilitate peer-to-peer energy transfer, so knowing OXTO (flywheel) and WePower (blockchain) would also be in the cohort was pretty exciting. Over the course of the 3 months, I got pretty intimate with all the companies and developed a real admiration for each and every one. In fact, in addition to the aforementioned, after learning more about 1Ansah's "Siri for maintenance" platform, I'd say there's a good chance we will use them to create a smart owner’s manual for Uprise wind turbines. Beyond the engagements we made, I also know there were a handful of other inter-cohort deals struck along the way. There was a lot of hard work that went into Demo Day and everything about it was first-rate from the venue to the media coverage to the branding (big-ups to SBC Rockstar designer, Josh Meney) to the hors d'oeuvres and everything in-between that was seamlessly executed! Major thanks to SBC Energy Aus corporate partners: EnergyAustralia, Spotless, DiUS, LaunchVic, KHQ and Pitcher Partners for supporting the program and cultivating innovation! And a big shoutout to the other nine startups: 1Ansah, Cognitum, EnergyTech Ventures, IntellPower, OXTO Energy, SavvyBI, Sirius Energy, Strix, and of course, WePower. Thank you, Startupbootcamp Energy Australia for the wonderful experience!